You are here: Home / General Interests / Is Your Favourite Beauty Salon Right For You? When was the last time you visited your favorite beauty parlor – you know, that little place down the street? A visit to the parlor is a pretty routine task that we all engage in without much forethought and there lies the risk. Choosing a safe beauty salon for your recurring needs requires some research and a lot of awareness. HOW DO YOU KNOW IF YOUR SALON IS COMPROMISING ON YOUR HYGIENE? Beauty salons are specialized spaces that offer a wide variety of beauty and grooming services for women and men. It is a place where we indulge in undisturbed pampering and relaxation while we get a haircut or a hair spa, a manicure and pedicure, a facial or a body massage. In fact, visiting the salon gives us undisturbed me-time as we leave our worries and tensions aside and simply relax. And that’s exactly how we should continue feeling once we step out of the parlor and carry on with our lives. Even though your parlor visit should not be about fretting over a dirty napkin or an unwashed razor, it is essential to be mindful of the suitability of your beauty studio so that you can be free from worries about what you’re taking back home with you other than a relaxed experience. All said and done, salons are public spaces where a lot of body cleansing takes place and whether we realize it or not, they are the exact locations where dangerous germs and infections thrive. DID YOU KNOW? 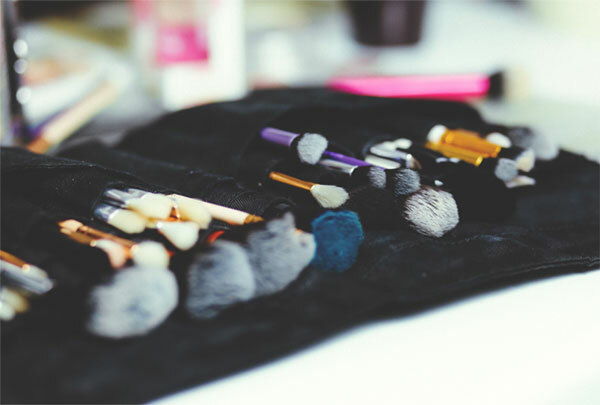 There are many salons out there which fail to follow necessary hygiene and quality parameters, and as a result, pose serious health hazards to unsuspecting visitors. How spick-and-span is your salon? It is important to acquaint yourself with the essentials of a good beauty parlor so that you can make an informed decision while choosing the best beauty salon for your needs. Failure to use well-sterilized and clean instruments and towels during procedures such as manicure and pedicure can lead to warts, fungal and bacterial infections. Creams, wax jar and combs should be stored properly and never be shared between individuals. Insist on the use of sterilised or disposable items in all parlour procedures. Lack of proper knowledge about hygiene among beauticians and lack of cleanliness can lead to a variety of bacterial, fungal and viral infections depending on the procedures done. While hair-related procedures can cause fungal infection of scalp, folliculitis, the spread of lice, manicure and pedicure can result in bacterial and fungal nail infection. We should visit only those salons where proper hygienic conditions prevail. Opt for procedures only after knowing their probable side-effects rather than blindly following the beauticians’ advice as some of them can cause permanent damage like scarring. Whether you choose a parlour based on someone’s recommendation or it’s a well-known brand name, keep your eye on the techniques being used and whether or not the highest levels of cleanliness are being met. Faulty techniques used by semi-trained parlour staff can often lead to skin injuries and conditions such as tinea a [fungal skin infection]. It is up to you to make an informed decision about your beauty and grooming needs. Here is a simple yet effective checklist of things you should watch out for the next time you visit a beauty salon or parlor. Is the beauty salon well-lit with clean floors and well-maintained sitting areas? Do they use sterilizers, disposable bed sheets and napkins? Does the staff provide clean gowns, fresh towels, and wipes to customers or do they reuse towels? Do they use sterilized and clean manicure and pedicure sets, bowls, and containers? Did the beautician inquire about any allergies or perform an allergy test prior to giving you a facial or using a skincare product? Do they have a cleaning staff that is paying attention to continuous and simultaneous cleaning up or is hair, tissue etc., strewn all over the floors? Is the parlor staff picking up things from the floor and using it without sterilizing them? Is the attendant using parts of the thread wet with her saliva while threading? This can lead to serious infections, so watch out! Are the attendants wearing clean uniforms, disposable gloves and are they well groomed with trimmed clean nails? It doesn’t matter how often you go to a beauty salon or parlour – once a week, once a month, or once every few months. You still stand the chance of catching the infection by visiting a parlor that is not hygienic, uses substandard products and faulty techniques. Substandard and poor quality products such as astringents, creams, face packs and peels, wax, shampoos, and bleaches can lead to rashes, burning sensations, skin allergies and blocking of pores. Shared use of combs, scissors, towels, wipes, nail cutters and other equipment can lead to infections. An incorrect technique used during waxing to pull out the strip as well as during hair massages can lead to severe rashes and skin infections such as Folliculitis [a condition when hair follicles are damaged by friction from clothing]. Applying very hot wax to the skin can burn the skin and lead to skin eruptions. Straightening, perming or hair coloring can lead to allergic reactions. The next time you find yourself pressed for time and rushing to the nearest beauty salon you can spot, think about the dangers you may be subjecting yourself to. If you are still confused about choosing the best and most appropriate beauty parlour for your regular needs, try out a parlor’s most basic service before engaging them for a major beauty treatment, haircut or skin treatment. This should help you to see whether or not they are professional enough to maintain hygiene and delivery high-quality services. I like that you talk about how you need to understand what makes a good beauty salon in order to find one that fits your needs. Once you know what to look for, it would probably be a good idea to research the different options by looking online and talking to people you know. After this, it could help to visit the best beauty salons in order to ask questions about their services and make sure you feel comfortable there. Hey really nice article, greatly appreciate your thoughts are up to mark and right, very well detailed and explained the information, now i have clearly understood the points and importance, Thanks for sharing good luck.